In March 2014, Boeing Defense Space and Security of Huntington Beach, California, won a contract potentially worth $104 million to build and demonstrate the Airborne Launch Assist Space Access (ALASA) system. The program was intended to demonstrate the capability to launch up to 45 kilograms of payload into low Earth orbit on short notice for as little as $1 million. 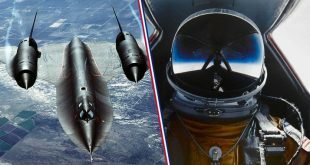 Boeing’s design featured a small expendable rocket launching from underneath a modified combat aircraft that would take off from a standard airport runway. The main component of Boeing design was the powerful nitrous oxide-acetylene propellant, also known as NA-7. The propellant would be “pre-mixed” to reduce the plumbing needed on the rocket, enabling it to carry more payload. Boeing led two subsystem tests one in August and one in April aimed at learning how the pre-mixed propellant reacted to different temperatures, pressures, and atmospheric conditions. In both tests, the propellant exploded. The “finicky” nature of the propellant led DARPA officials to believe it is too risky to store on piloted aircraft, Tousley said. The NA-7 propellant represents a classic problem for an agency whose mission is to pursue high-risk, high-payoff technologies for the Pentagon. Furthermore, These development efforts are taken on with the understanding that many, if not most, will fail. In addition Boeing, subcontractor Orbital ATK of Dulles, Virginia, and DARPA nonetheless plan to continue developing the technology. A third propellant test is imminent. “We hope to make it work,” said Pam Melroy, deputy director of DARPA’s tactical technology office. “Is all the proper handling of this affordable, reasonable operationally, especially under a manned aircraft? Maybe it turns out it’s better suited for a ground-launch mission.